Many of patients that receive dental implants from the surgeons of Piney Point OMS don ‘t just receive great surgical treatment but also the necessary follow-up care that make the dental implants viable life long. This is especially true for patients who have lost teeth in the past understand the need for good hygiene care in the future. After your implant procedure, a number of instructions for managing symptoms such as inflammation and pain will be given as well keeping your mouth clean to fight infections; and taking the proper medications, i.e, antibiotics to help speed your recovery. Many of our implants have bone grafts that have placed and staying on the correct diet can make a big difference on the healing outcome. The follow-up appointment is necessary for the surgeons to observe any unusual healing issues that might develop. If any problem is identified, it can be addressed quickly to ensure that there’s no negative impact on your implant’s function, comfort, or appearance. The surgeons of Piney Point OMS are highly trained to recognize any complications and deal it in an experienced manner. As with teeth, good oral hygiene is beneficial for dental implants overall longetivity. 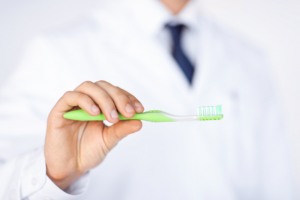 dental hygiene practices, including brushing your teeth twice per day and flossing regularly is recommended. In addition, it is sometimes recommended that patient use special cleaning tools that make it easier to remove food from around and under the implant. It is important to follow-up with an oral surgeon on annual basis as well. The annual follow-up provides key information to the overall health of the dental implants long term. The surgeon is making sure there is no or minimum bone loss around the implants and the gums around the implants continue to be healthy.